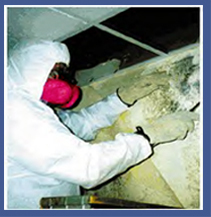 A force on the industry's horizon, DWW Abatement, Inc. provides environmental contracting services for commercial, industrial and government agencies statewide. Incorporated in 1990, DWW is a compilation of the talents of its owner Duke W. Zinser, and its employees. For more than a decade, Mr. Zinser has successfully led the Southwestern Regional market in a broad range of hazardous material remediation; from the mundane to the complex. Outstanding professionals staff the company with the necessary mix required to respond to any challenge. Over the past two years, we have performed more than $6,000,000 of completed contracts with great success. DWW is a Native American owned and operated company located in Texas. We take great pride in our associations that provide the latest in efficient technology to our clients. Our work ethic demands quality assurance and requires us to surpass all regulatory compliance. Everyone at DWW is committed to the highest standards in meeting our company's and our clients' goals. Productive, cost-effective, hard dollar solutions are the mantra of our management staff. Integrated turn-key commercial and industrial services will help protect your company's investments in its maintenance, expansion or renovation and construction efforts. We carry a thorough understanding of every project, matching the concerns and requirements of every client with our own. We consistently provide alternative solutions to our common-end goals. Committed to the budget and time constraints at hand, our clients can rest assured that DWW has the resources to meet their professional requirements. After enlisting our services, your corporate management can walk away in good faith, knowing that the issues at hand are "handled." This kind of security is not only rare, but we take great pride in the fact you can expect it from DWW. Our management style is definitely "hands-on." We provide daily accountability from the field operations and nobody works more closely with their vendors and subcontractors. This ensures the schedule to be at or ahead of the committed timeframe. DWW uses comprehensive checklists in order to maintain rigorous control over the quality and precision of all our projects. Effective management requires specific attention to detail. Customer service remains the backbone of our company's strength.